Open quotations cheap reliable guns” is somewhat of a misnomer. “Cheap” is a relative term. Can one realistically expect reliability out of anything that is “cheap”? Let’s explore reliable guns that are in the lower price range of the marketplace. In today’s marketplace a $400-$500 price tag is about the bottom and for a real reliable semi automatic pistol. Reliability is the key to any concealed carry pistol. Think about this for a moment, what good does it do to go through all the time effort and money to obtain a concealed carry permit only to chintz out, or go cheap, when it comes to the equipment that your life depends on. 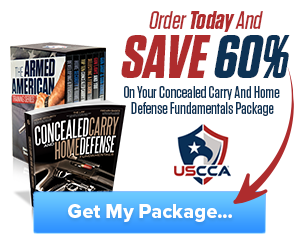 There are many different frames of mind and thought when it comes to concealed carry pistols. I am a fan and advocate of semi automatic pistols. There are a lot more that are fans of wheel guns or six shooters. The general argument is a wheel gun or six shooter will never jam. The opposing argument is a semi automatic pistol is the best concealed carry pistol because of its faster shooting and reloading capability. There are legitimate arguments on both sides. fanciest carry gun on the market but it is certainly one of the most reliable in this price range. It is a double action pistol, meaning that if you leave the hammer down on a round in the chamber the first Paul is going to be hard due to the fact that as you are pulling on the trigger you are pulling the hammer back. After that first round the trigger pull will be significantly less due to the firearm being cocked as it ejects the first spent round. 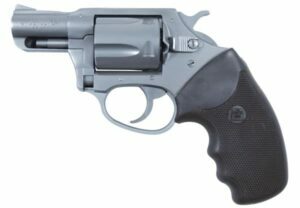 For a “low-price gun” that maintains the key, reliability, while remaining at or under this price range I would strongly recommend a Charter Arms defensive revolver. They have several models that are at or below the $500 price point. They are 100% American made with all parts being made “in-house” or by vendors within 50 miles of the plant. An excellent example of a durable carry gun is the Undercover .38 special five shot revolver. Rated for + P ammunition, this all stainless steel gun is available with an exposed hammer or a double action only configuration. It comes with sufficiently sized rubber handgrips and fixed sites. I believe this is one of the best concealed carry handguns for our female counterparts as it is reliable and won’t suffer from the “belly push” syndrome that is explained in our “important secret video”. So what is the best handgun to buy? While that is a loaded question. (No pun intended) the best answer or advice I can give is to find your nearest brick and mortar firearms dealer. Preferably one with the shooting range. The dealer I frequent has a rental program for their range that allows you to rent the handgun you are considering buying and trying it on the range before you purchase it for a nominal fee. If that is not available in your area, search the Internet and its many gun forums to figure out which guns are actually “in the field” reliable. There is no worse feeling than putting out $400-$500 of your hard-earned money only to find out you now have a very expensive paperweight. I experienced this phenomenon when I purchased a Bersa .380. No matter what ammunition I tried or how well I cleaned and lubricated this firearm it resulted in a stove pipe jam every three rounds at a minimum. I subsequently researched this firearm online and discovered that it wasn’t just my gun it was everyone who owned one of these pieces of pig iron. If you gained nothing else from this article it was worth reading through to the end and save the four or $500 that you would’ve spent on one of these paperweights! Hey Buddy!, I found this information for you: "Cheap Reliable Guns". 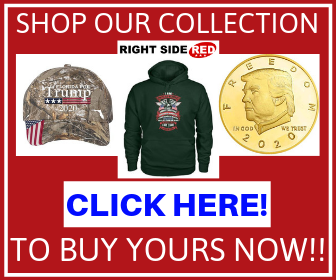 Here is the website link: https://thegunrights.com/cheap-reliable-guns/. Thank you.